Palmilla (Mountain) Hole 1: This short par four has a wide fairway for the player that wants to leave a shot of around 150 to a long, slender and angled green between two bunkers. 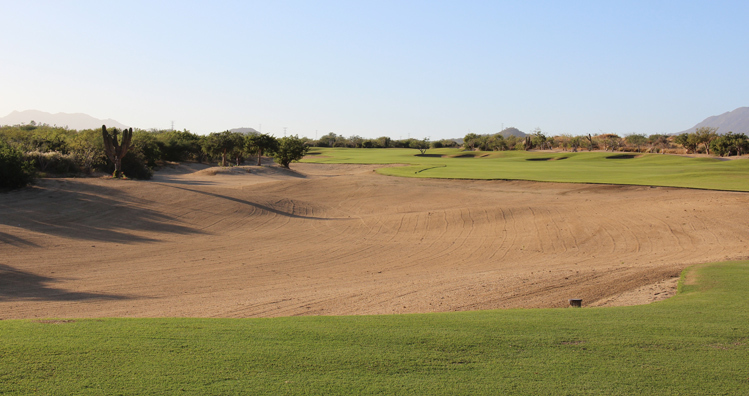 A longer drive must avoid strategically scattered bunkers, but will leave a shorter and possibly a better angled shot to the undulating green. 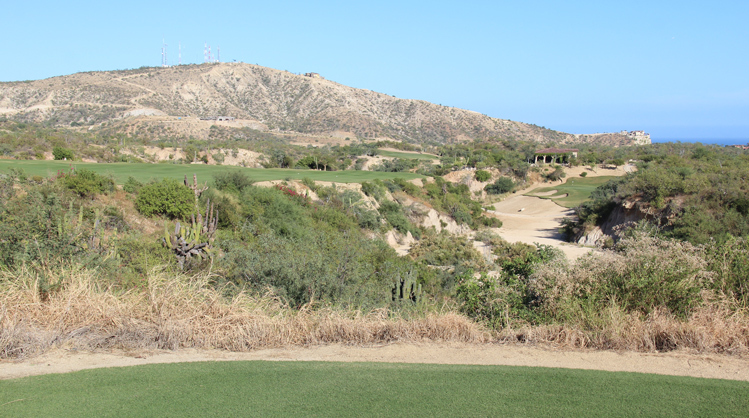 Palmilla (Mountain) Hole 2: This is an uphill par four with a fairly tight drive. Going left is ok if the ball stays on the grass as it will feed back to the middle, but too far left will find the hillside. There is also desert wash that runs all the way down the right side of the landing area. The green has bunkers left. 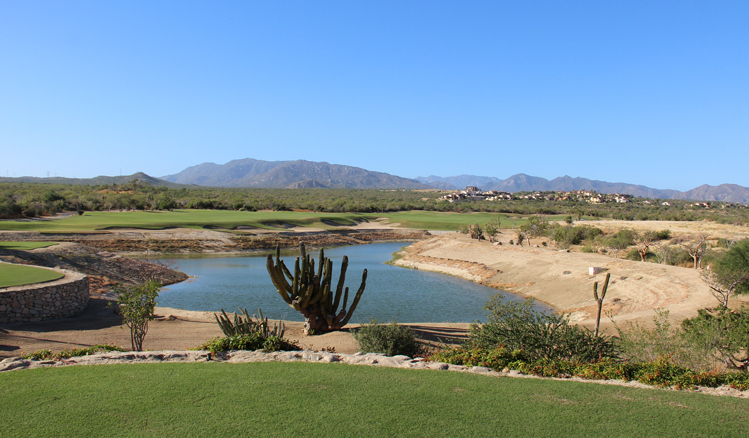 Palmilla (Mountain) Hole 4: This par five wraps around two reservoirs at the top of the property. The drive can be played left easily enough, but a strong play over the center bunkers will leave a much shorter approach to the putting surface, which is long and narrow, with bunkers on either side and the lake looming right. Palmilla (Mountain) Hole 5: This amazing par four with ocean views makes fantastic use of the cliff and desert wash throughout. The drive has to clear the desert, which is easily enough mastered by staying left. However, that leaves a very long, and possibly even blind, approach to the green, which is downhill, but set in a little bowl over the desert, and just behind two bunkers as well. The closer to the cliff one gets off the tee by staying right and hitting it farther, the shorter the demanding and picturesque approach will be for them. 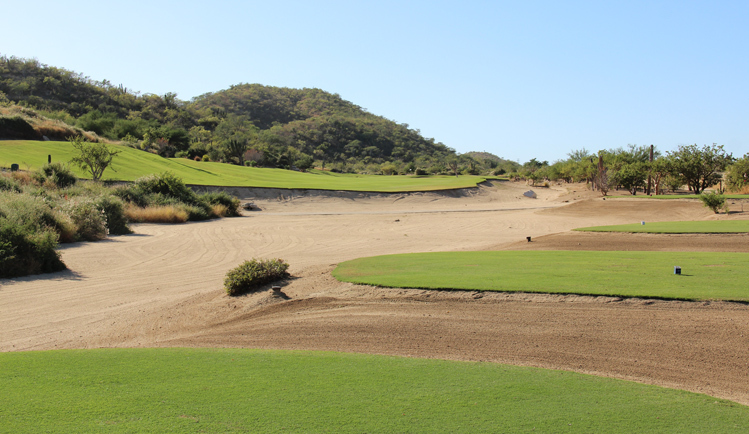 Palmilla (Mountain) Hole 6: This is your vintage par three with water left and sand trap to the right. There is plenty of room short/right of the green for the player who would rather use short game to get par. 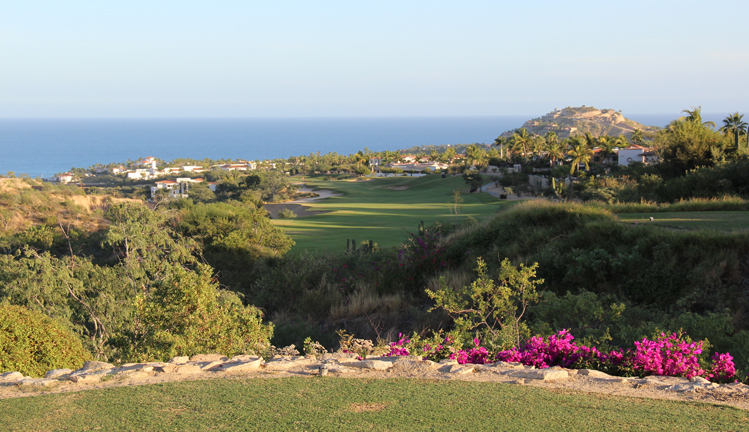 Palmilla (Mountain) Hole 8: This par three is long, but slightly downhill and really captures a lot of what golf in Los Cabos offers. 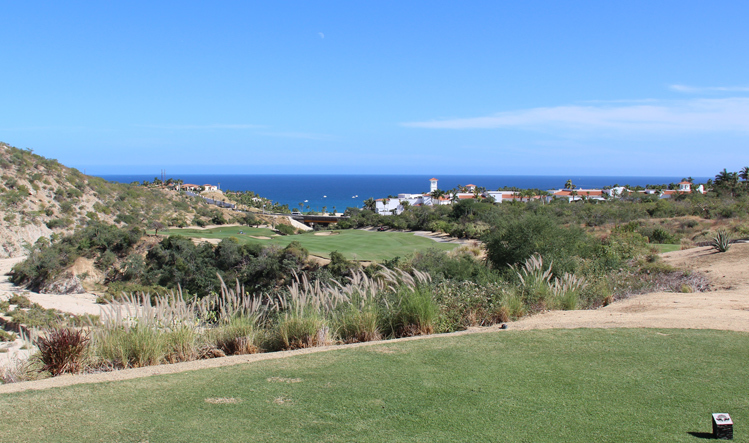 It has sweeping ocean views and the player gets the opportunity to get the golf ball from one green patch to another. If brown landing spots are avoided, good scores can be achieved. 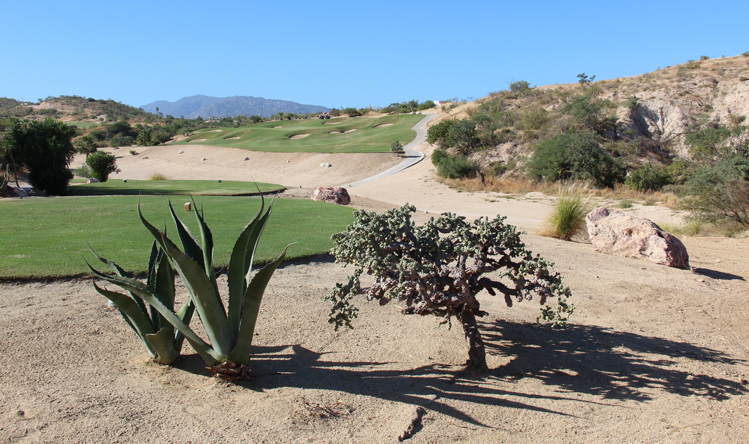 Palmilla (Ocean) Hole 1: This might be the only golf hole on the golf course where trees are a realistic factor. Of course, only a worm-burner or huge push would matter, but for the golfer who runs out without warming up, I could see this being an unusual Cabo distraction. Other than that, although the hole is straight, the drive can stay right or can try to clear the corner of the desert that pinches in to leave a shorter approach without going near the OB right. 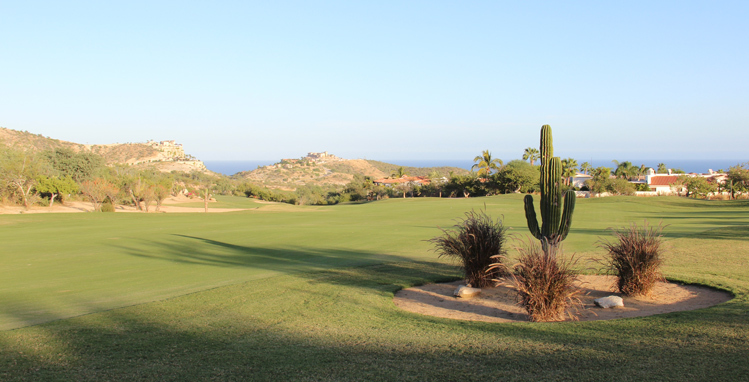 Palmilla (Ocean) Hole 2: Downhill, but long, this is an exciting and tough par four. The drive has a long carry and must find the fairway or try again. Length is needed too as the approach is over more desert to a well-guarded green complex that breaks left to right and towards the Sea of Cortez. Palmilla (Ocean) Hole 3: The gimmick with this hole is that in order to justify the "ocean" nine, Nicklaus needed a green by the water, which he achieved with this excellent par four. After finishing the hole, a u-turn is made to head to the 4th tee, which is actually further away than the 3rd tee box was. The downhill dogleg right is long and the golfer has to avoid desert right and hillside and bunkers to the left before getting the reward of gazing at the Palm Tree lined green that also has a few bunkers to contend with. Palmilla (Ocean) Hole 7: A classic desert design, the fairway is angled such that a long drive that goes too far right is trouble, as is the drive that goes left, but not far enough. 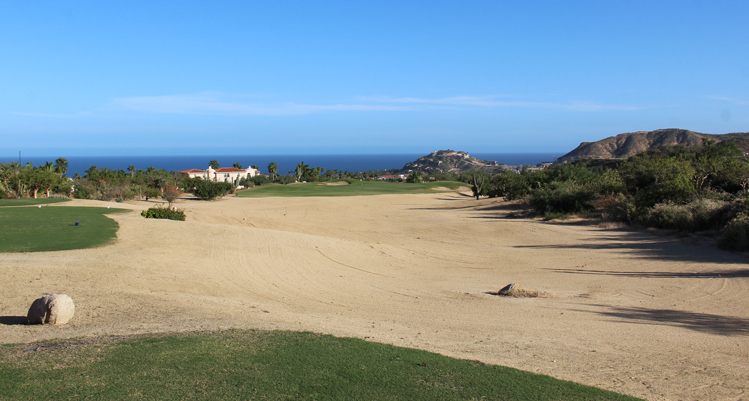 The hole turns left and uphill and has to clear desert all the way, and a series of bunkers that front the safety of the green..
Palmilla (Ocean) Hole 8: Normally, uphill short par fours aren't often featured in these reviews, but this one is good in relation. There are severe bunkers and slopes to be avoided but relatively flat plateaus are available for short, medium or long drive attempts. Additionally, the green is perched very close to drop-offs behind and left. 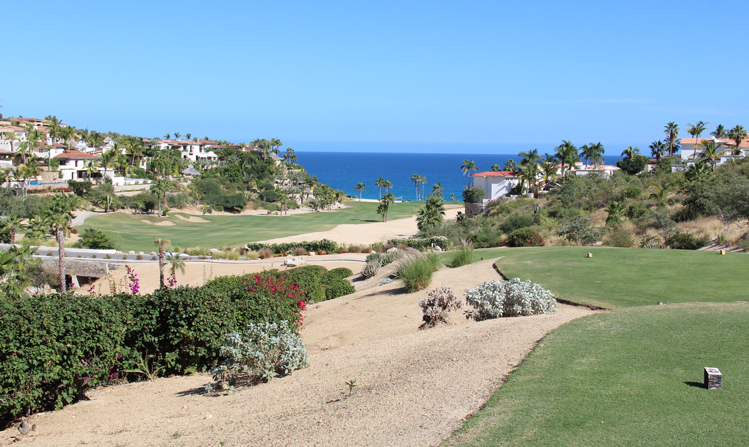 Palmilla (Ocean) Hole 9: From the two back sets of tees, this has a relatively daunting uphill tee shot with nothing but trouble to the left. The second shot is then played over that trouble to a fairway that slopes from left to right. The green is higher up and surrounded by a lot of sand as well. 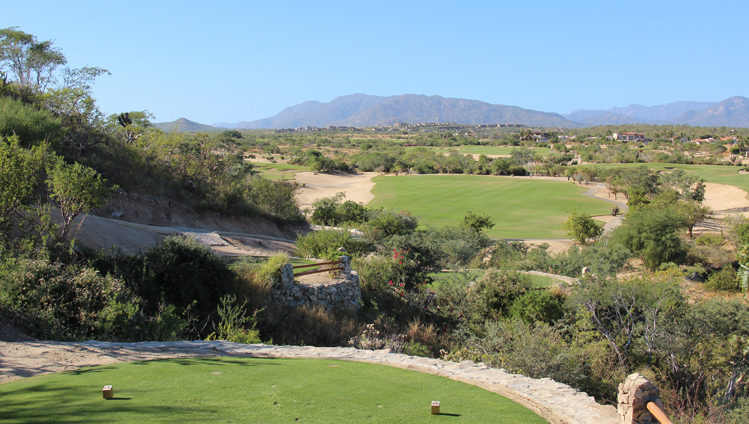 Palmilla (Arroyo) Hole 3: The Arroyo nine starts with three uphill holes, and this is the par five in that string. There is desert left and bunkers right on the drive. The second must avoid the central bunkers and then the green complex has bunkers short and left, with the best angle of attack coming from the right side. 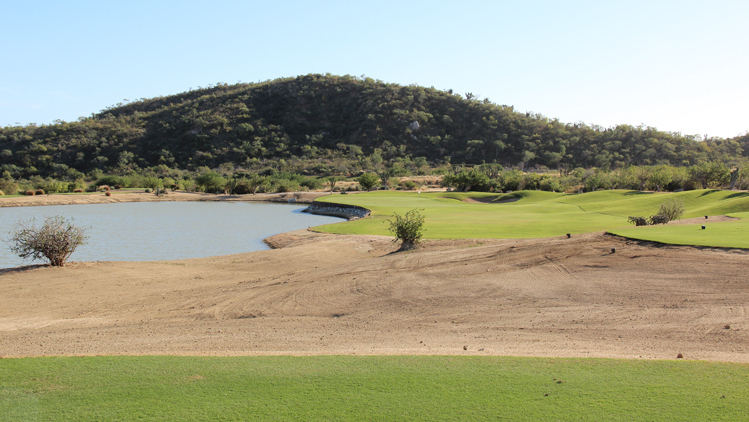 Palmilla (Arroyo) Hole 4: This is a short dogleg right par four with the main feature being the water hazard that is in play on the drive and the second shot. There is also a well-placed sand trap in the fairway. 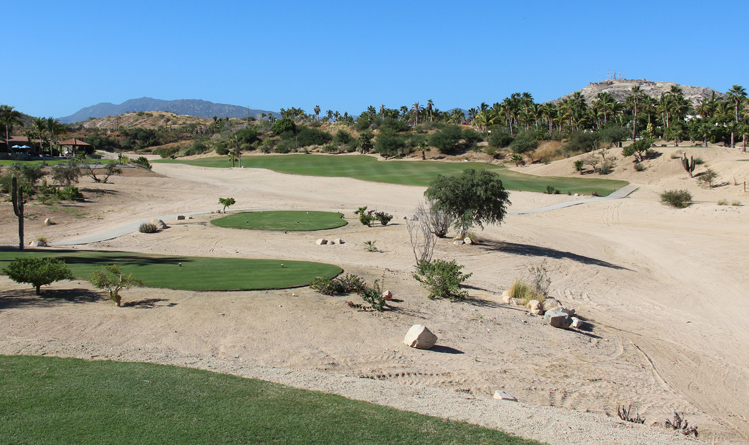 Palmilla (Arroyo) Hole 6: Although the Arroyo nine is not as solid as the others, this long dogleg left par four definitely holds its own with any on the property. The drive is narrow and very tough to leave any approach to the downhill green that is very narrow and sandwiched between the hillside left and deep bunkers to the right side. 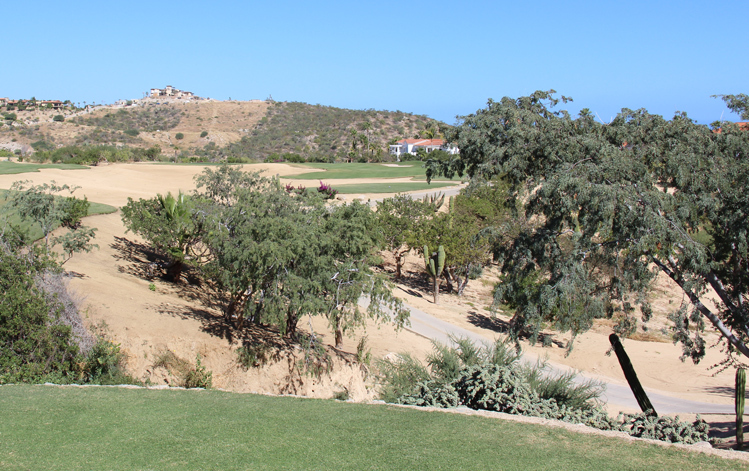 Palmilla (Arroyo) Hole 7: Downhill all the way, there is OB right and desert left on this par five. The views are fantastic and the green complex is guarded by a long bunker down the left, which is very well designed.